This content is provided by Lary Stromfeld. Partner of the firm and a member of its Management Committee. He has represented leading financial institutions and other participants in the global capital markets for more than 35 years. 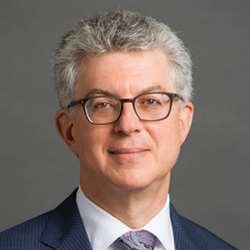 He has a reputation for giving practical advice in transactions, disputes and advisory matters involving a wide variety of financial products and complex financings. His versatile practice and strong technical skills have earned him top rankings in multiple global surveys, and the Financial Times recently named him one of the “Top 10 Legal Innovators for North America” for his work on numerous landmark assignments. National Association of Bond Lawyers; Securities Law and Disclosure Committee; Municipal Legal Advisory Committee of SIFMA. JD, University of Pennsylvania Law School; BA, Brandeis University. Founder, Justice Served campaign for Food Bank For New York City.